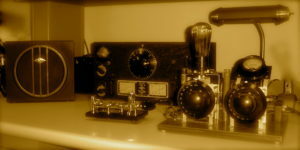 Uses a single UX-210 tube, built by Al Wentworth – Lexington, MA K1BSX (SK April 2004), based on a 1928 QST article. Click here for the August 1928 QST article “Overhauling the Transmitter for 1929 – Ross Hull” in Abode PDF format. 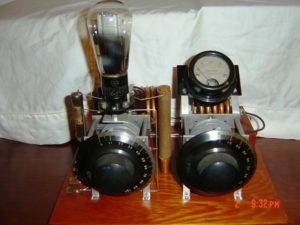 Hartley Oscillator W1BSX – Front view. 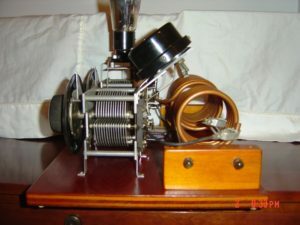 Hartley Oscillator W1BSX – Top view. 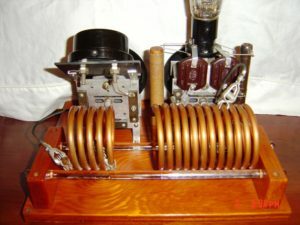 Hartley Oscillator W1BSX – Left Side view. 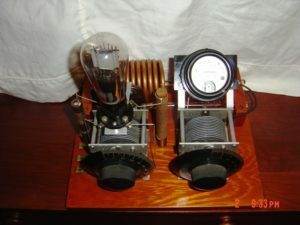 Hartley Oscillator W1BSX – Left Rear view. 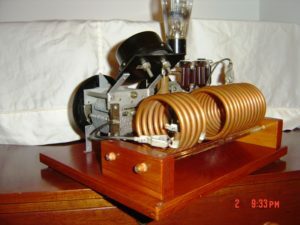 Hartley Oscillator W1BSX – Rear view.